Life is Strange was such a memorable experience that I approached this title with high expectations. Especially since it was not made by Don’t Nod Studios, the task of being faithful to the original game would certainly be challenging. Truth be told: Deck Nine did an honorable job. Before The Storm can never hope to reach the heights of Life is Strange, but it works well for anyone who enjoyed the original story. I don’t intend to delve too much on the events of Before the Storm, but as a starting point, you impersonate Chloe Price, who is one of the protagonists of Life is Strange. At the start of Before The Storm, she is in the middle of very difficult times: her father passed away in a car accident 2 years back, she is struggling with school, and her mother’s boyfriend, whom Chloe hates with passion, is moving in at home. In other words, her life is falling apart in every direction. And to make things worse, her best friend, Max, left Arcadia Bay 2 years ago, leaving her alone, and barely keeping in touch. 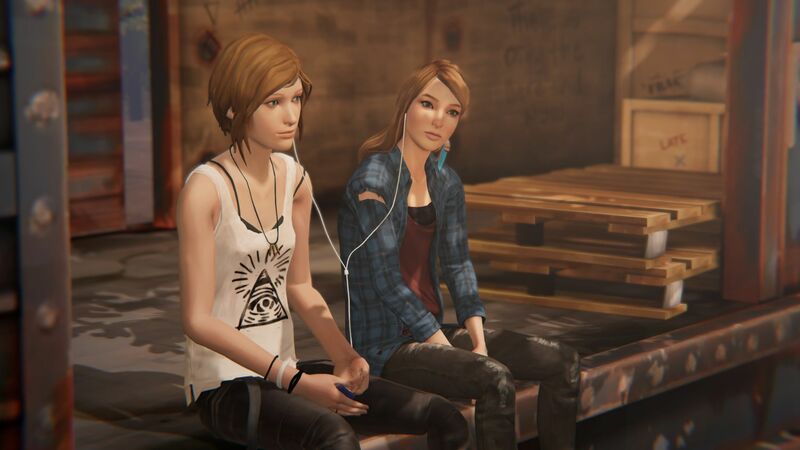 The whole story of BTS is structured around three episodes, describing Chloe’s encounter and relationship with Rachel Amber. Rachel appears to be the opposite of Chloe: she is from a rich family, has stellar grades, and is extremely popular with other teenagers. Yet Rachel finds herself facing hard times as well, and in need of a close friend to talk and help her out: Chloe will be that perfect match. It was certainly not going to be easy to write the character of Rachel. Rachel has been missing at the start of Life is Strange, and Chloe was looking for her. Everything we knew about Rachel was from what Chloe said about her. In some ways Rachel feels a little like Colonel Kurz in Apocalypse Now: the whole movie talks about him, yet he gets no screen time. An aura of mystery shapes her character. What kind of person was she? Why did she go missing? How was her relationship with Chloe? These are all questions answered in the prequel. This is Life is Strange again, without the “time-rewind” mechanics, as expected. What you end up with is a very typical 3D adventure game, akin to what Telltales does: mainly based around simple puzzles and a lot of interactive dialogues. To disrupt the ongoing monotony, Deck Nine introduced some sequences where you can “talk back” to other persons in order to achieve a certain goal in the discussion. It’s hardly a challenge though: I could go through each of them in one go, without retrying. So yeah, it is a very typical adventure game, a teenage drama. What really matters is the characters. And Chloe is great. Even though there was a change of voice actress, this is very much the same Chloe we were used to. It’s a pleasure to spend time with her again and her sarcastic lookout on the world. Rachel’s character is more questionable. I was honestly expecting Rachel to be somewhat more like Laura Palmer in Twin Peaks: the model student, very bright and joyful, admired by all, who yet lives a second life at night, meddling with people and drugs in very dark places. This is not the case here, so Rachel does not feel as edgy as I imagined her. Whether this is fitting is really up to you. There’s only 3 episodes too, and you can beat the game in a single sitting. It feels a little too short. I would not have minded another couple of episodes. It still leaves a large gap before the start of the original Life is Strange. I was expecting it would finish with Rachel’s disappearance, but it ends before, on a different stage of their relationship. It feels appropriate though. The events make sense for the most part, and there is a bittersweet conclusion to Rachel’s struggles: a somewhat sad ending, with a sense of closure. The best part of the game is certainly the final bonus episode. 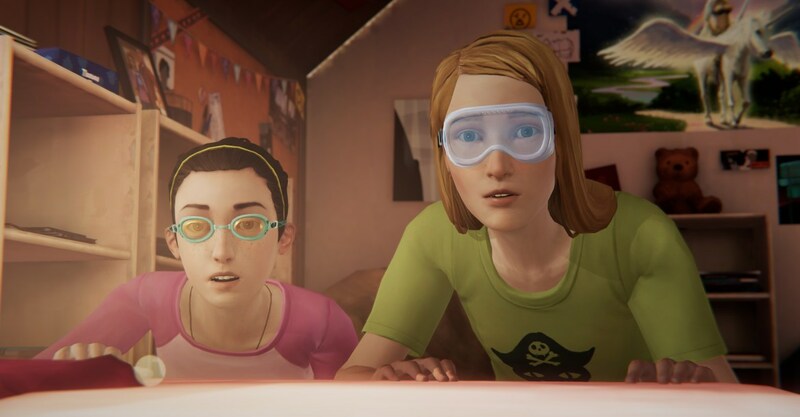 It drives you back further in time with the original characters of Life is Strange: Chloe and Max as their younger selves, 2 years back. Max is about the leave Arcadia Bay as her parents move to Seattle. This is the last day she can spend with Chloe. This time you control Max and you see Chloe at the peak of your former friendship. It is simple yet very, very touching. Max keeps hesitating about whether to tell her or not about her impending departure. They go through old games they use to play, remember their shared memories just as they are about to be separated for a long time. And just before everything breaks down in Chloe’s life. This bonus chapter is absolutely perfect in every single way, and redeems a game that was about average otherwise. They found the right tone, the right setting, and the right story to tell. They just nailed it. Out of Before the Storm, Chloe comes out as a greater, richer and deeper character. It’s definitely worth doing if you enjoyed Life is Strange. Just don’t expect any of the innovative mechanics. This feels more like extra content than a real new game per se. How did the port perform? Well, Feral delivered a very neat port once again. I did encounter a few issues at first: my gaming rig still runs on Mint 18.3, based on Ubuntu 16.04 LTS, and I think this is the first time that I encounter a Linux port not running at all. Apparently this is due to a requirement for a newer glibc version, which is very much tied to the distribution and not the Steam runtime. I find this a surprising choice from Feral since you can’t expect everyone to upgrade to the latest LTS version while the current one is supported till 2020. In the end I tried the game on another machine running Solus (not officially supported either), and it worked as expected even though Solus’ drivers are not not as recent (390.77 I think) as what was recommended. I only experienced a single crash in between two scenes (back to desktop) which only made me lose something like 5 minutes. Not sure what caused it, but a single crash in 7-8 hours is not an issue in my book, especially on an unsupported configuration. Performance wise, it was perfect. I selected the highest details possible in full HD and it was always running at 60 FPS on my potato (old Xeon with GTX1060 – the videos in this article were captured on it). Sure, it is certainly not a very graphics intensive game in the first place. Many elements in the background are really low polygon, and textures are not always well defined either – certainly not as detailed as in Life is Strange. So it runs well, but it’s not really surprising. Before the Storm was produced on Unity, too, and it makes me wonder if there was any particular reason why the original dev team could not produce a Linux port easily from Unity, and why Feral’s involvement was needed or necessary. In any case, there you have it: a good chance to spend more time in Arcadia Bay. EDIT: A few days after this article was published, a fix was released that made the game run on Ubuntu 16.04.